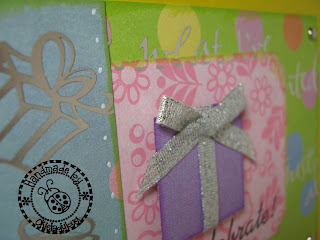 Okieladybug's Scrap N' More: Quick and Easy Birthday Card! This was a very simple design of a card and I think could be made quickly if you are need a card in a flash. My friend ScrapperDelighted sent me the awesome birthday paper with the foil presents and wording. The pink and purple were just some scraps I had in my scrap box. 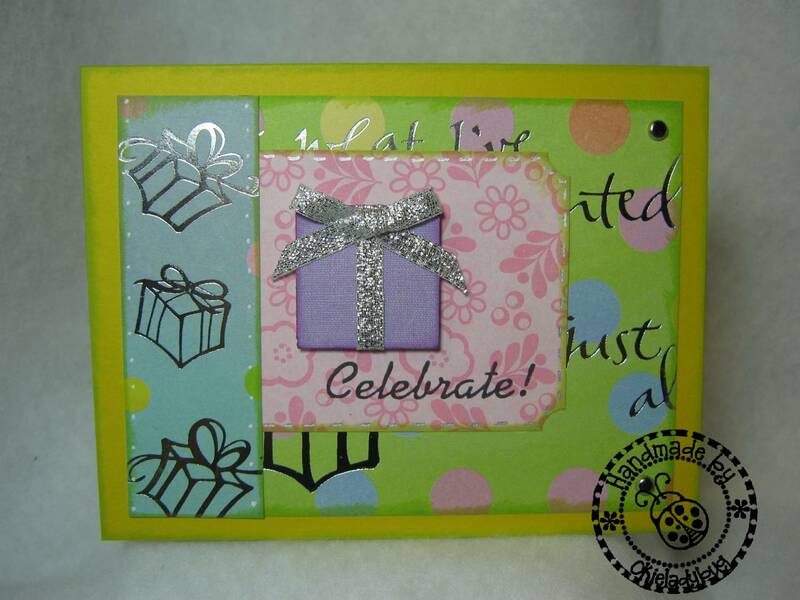 I like the layout of the card because the area where the present is located could be used different ways. I think it would also look good vertically. The sentiment is from a set of birthday cupcake stamps. For the present I simply used my 1 1/4" square punch and punched some purple paper. I also punched one out of thin chipboard so I could pop dot it. 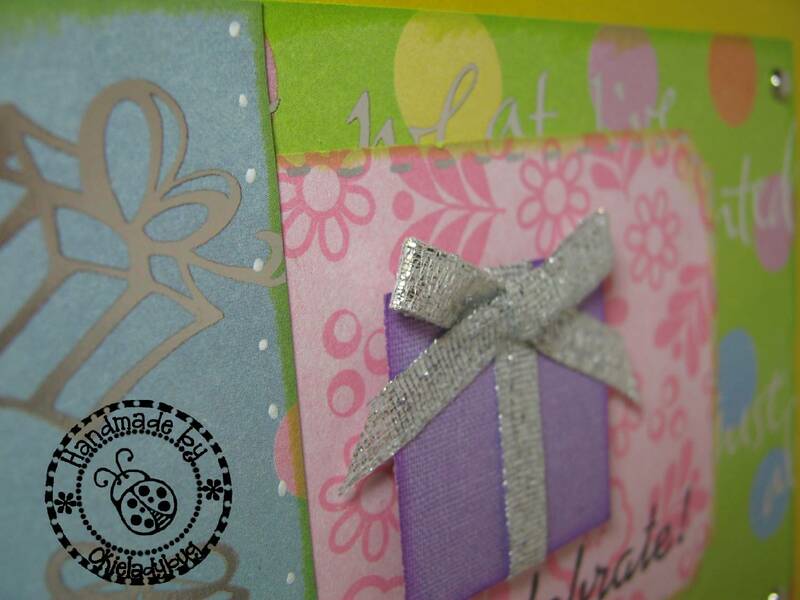 I wrapped the silver ribbon around one side and then added a bow to the top...AND WALLAH! A cute little present! When I try to click the WalMart black friday link you have it says menacingly "FORBIDDEN". Now I REALLY want to see it!!! LOL! Wow like your birthday card. I need to make some cards today. I am gonna try the card you made on Saturday. Have a great day Shirley. Finally! Something super simple that I can copy! LOL! Simple, but really cute. Guess some of these will go into my CFS box this time. Birthday cards are always needed! AND WALLAH! We always listen to the great and wonderful Okie!